To manage the Sidebar ad go to Newspaper > Theme Panel > Ads, and open the Sidebar ad section. 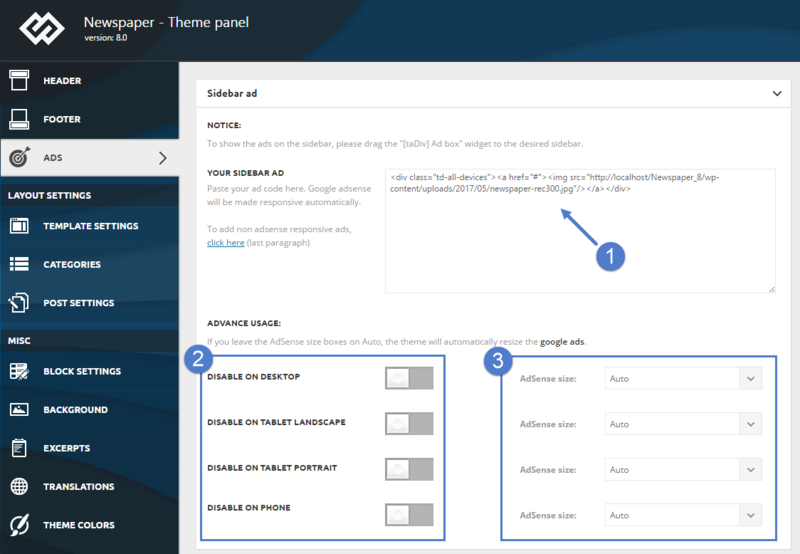 Paste your ad code and save the settings, if you use Google AdSense the theme will automatically make it work on all devices (responsive). Next, place the ad in the sidebar. For this you have to use the [tagDiv] ad box widget and set it to use the Sidebar Ad spot. 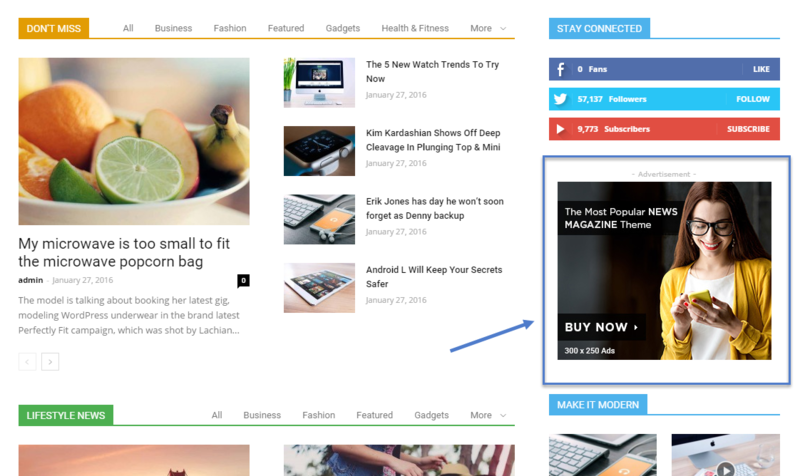 To set up your ad go to Newspaper > Theme Panel > Ads and open the Sidebar ad section. 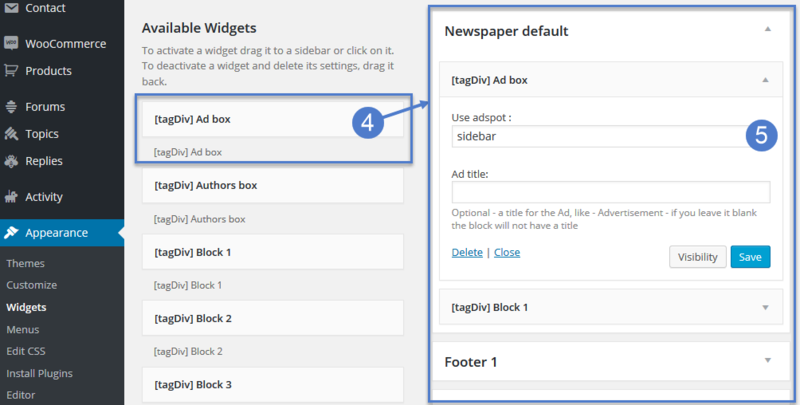 Step 4 – Go to Appearance > Widgets and drag the [tagDiv] Ad box to the sidebar where you want it to display the ad. Step 5 – From the drop-down menu select “sidebar”- this is the ad spot that you defined above. After you finished customizing your Sidebar ad, click on the Save Setting button.